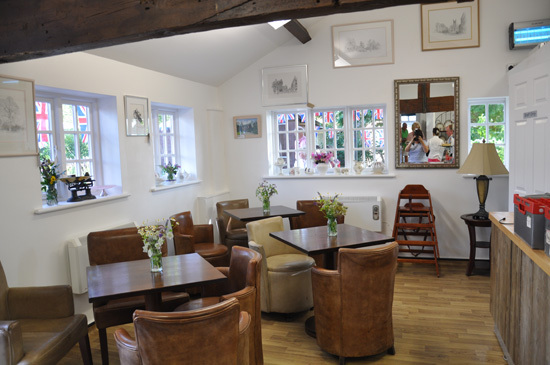 The pretty café at the rear of the store, offers a range of coffees, teas, hot and cold drinks, cakes , a hearty cooked breakfast and tasty lunch snacks for both eating in and take out. It is situated in an idyllic location overlooking fields and the village tennis courts, providing a relaxed and friendly environment to socialise. Bookings are taken for large groups and take out orders.